Not so amazing, right? But that third stanza: "Nothing bores me now/ I enjoy everything"--which sounds utterly prosaic--when Dianne Reeves sang it, she broke in between "enjoy" and "everything," which made everything sound like a revelation. Well, all that? and these facts--that Peggy Lee came from North Dakota, and her name was Norma Dolores Egstrom; her home was a violent one, and she started her career as a singer when she was just a teenager; that she wrote lots of music and in some ways shaped the delivery of more than a generation of female singers--and something something about how amazing Dianne Reeves is--all of that will be a poem, maybe. Right now, it's called "Everything." Or maybe "--everything." Don't hold your breath, though. It might take awhile. It was warm enough that I left the back door half-open all day so Bruiser could go in and out, and the door to the back porch, aka the laundry room, all the way open so the cat could go in and out. I read student work, organized my reading of it, recycled papers and magazines, did massive amounts of laundry, made breakfast, lunch, and dinner. Did the dishes. It was about as wonderful as an ordinary day could be. Not one single exciting thing happened, but I felt so happy--it's possible that I might be reading my students' work with a slightly rosy spin. Is that wrong? I have no appointments with students, meetings to attend, engagements of any kind. My students have been e-mailing me the URLs of their e-portfolios, and tomorrow, I intend to spend the day reading and responding to those portfolios, calculating grades, and drinking tea. I might take a walk. In other words, the semester is winding down. In other words, it's almost May, which in college land is summer, aka bliss. Here's last Friday's poem. I'm a bit behind. But I will catch up, you just watch. Bad ideas: a partial list. I thought I would do some work today, but guess what? I didn't feel like it, because the night before, with our visitors (brother, sister-in-law, nephew), we stayed up watching the Jazz finally put away the Rockets, then talking until 1 about everything under the sun. Then we all got up a little before six to see them off. Back to bed, up at ten (!) and then, lo! there was an all-day-long headache to keep me company while I read the paper, drank tea, ate cereal, talked to the Scotlands, the daughter in Boston, and make-up artist daughter. So today my productivity has consisted of thinking about the unsatisfactory state of the NBA playoffs, with the exception of the Jazz being up 3-1, taking a little nap, buying some laundry detergent, eating some leftover salad. Taking Bruiser to the dog park, where, since it's spring and lighter longer, there were too many dogs. I talked to all of my kids except the missionary and the soccer coach, and we received visitors (running son's friends). I pressed leftover cake upon them, since we had a bunch. I think it's the almost-finished quality of things right now--tomorrow, all my students' work will be posted, and the grading starts. I have one (1) more meeting in the academic year. What I would most like to be doing is cleaning my house, as prosaic as that may seem, but I didn't because (a) headache, and (b) there was all that work to be done, which (c) I did none of. And now, I am complaining. Hello, end of the semester, my old friend-like-a-recurring-condition. Get the hell away from me and don't come back for sixteen months. Tonight we went down to my folks' for a big hullabaloo--my brother and his wife and son were in town for my niece's graduation from the BYU. In English, poor girl. I was responsible for organizing the salads and desserts. Salad: lime cumin vinaigrette, greens with red grapefruit and avocados, blah blah blah delicious. But the dessert was cake. Cake! Today I made a tres leches cake. There was some discussion about exactly how many leches were actually involved--since there was butter and actual milk in the cake proper, not to mention the evaporated milk, sweetened condensed milk, and cream soaking into the cake, and then whipped cream on top. (Singing son says: "Tres leches. No mas!") Also? Nine eggs. Nine of the most beautiful, fresh, yellow-yolked eggs you ever saw. So the cake was extra golden looking and really rich with eggy goodness. Who thought of this idea, the three-milk soaked goodness of extra-eggy cake? But it's so good! The recipe, which I found on the Google, had the cake in a 9 x 12 pan rather than in layers. Layers would complicate matters, but this was rather easy. It turned out great--everyone loved it, I think, and I know I loved it. Rather divine. Here is your cake and your cake place. Eat and be whole again beyond confusion. Labels: cake place, Directive, good eggs, invitation, quanto leches? 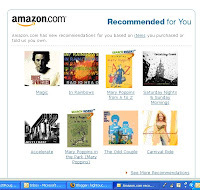 One of my favorite features of Amazon is its recommendations, the sort of amiable Big Brother aspect of it. A little unnerving, then, to get an automated e-mail telling me about its recommendations for me. Yes, that is Bruce Springsteen, Radiohead, Counting Crows, Carrie Underwood, Gnarls Barkley, and Mary Poppins. That's the quintessential picture of me, right there. Amazon.com, you got me. Well, Ben Folds was here, y'all, and it was awesome. That's all I'm saying. And here's the set list, because I took notes. Oh yeah. Earth Day Challenge: Day 7. The last item for the Earth Day Challenge is not a big one, but it's one I've been thinking about, in terms of simplifying. I cooked most days at home this last week, from food I had on hand. To me, this is both earth-friendly and emblematic of the kind of simplifying I know is better: better for us nutrition-wise, better in terms of how much we consume and how carefully we use what we buy, better because we don't get in a car and drive to buy food. I like knowing that there's a Thai place not too far from us that we can go to for really wonderful food when I don't feel like cooking. Sometimes, in the thick of the semester, eating out saves us. But I also like looking at the vegetables and staples I have on hand and making from them a dinner that is (bear with me now) soul-satisfying, in the conception, the making, and the eating. I like using our dishes and cleaning up after ourselves. I like remembering where I bought the elements of the dinner, and in the case of the vegetables, knowing who grew them. Tonight we had linguine with roasted tomatoes I froze last fall, some parmesan cheese, sauteed spinach, and salad (greens courtesy of the magnificent Chad, vegetable impresario). After dinner tonight, the historian and I went over to the store for dog food, bread, Coke. I whipped out my reusable bag and said to the checker, as she prepared to put the stuff in a plastic bag, "Oh! I have this bag, can we put the food in there? It's Earth Day." And that was good: I am now carrying around two reusable bags (they fold up very compactly) in my purse, which means I'm now doing something I've meant to do for a long time, and I can probably almost completely eschew plastic bags. Like theorris, I think I can do the things I've done this past week more or less permanently. It's been good to have a reason to try to do better. I like the feeling. More things I'll be doing: planting a garden, getting our composter back in business, simplifying further, giving stuff away. Perhaps I'll report intermittently on these activities. Thanks for the challenge, theorris. Earth Day Challenge: Day 6. My Scotland daughter lives in a place where people recycle. She does not hesitate to point out to me that she's a much better recycler than I am, because she recycles glass. She is, of course, technically correct, but in my own defensive defense, glass recycling is the kind of recycling that is hardest for us, because our curbside recycling doesn't take glass, and because there is no place close to us that takes glass. So it means figuring out a place that we occasionally frequent for other reasons, getting our act together to collect our glass recyclables, and remembering to take it when we go near the glass recycling place. But: I have located this information. The recycling location is near the houses of three of our children, and it takes glass. What is it, can anyone tell me, about some places only recycling brown glass, others doing only clear glass, and still others doing clear, brown, and green glass? Anyway, if you too want to recycle glass, you can find a lot of info here. And if you'd like to read a pantoum about the last quarter of tonight's basketball game, you can find it here. On the 5th day, I contemplated. Earth Day Challenge, Day 5, found me at home, having lengthy conversations with my far-flung children, making breakfast and dinner, taking a small nap, taking Bruiser to the dog park, reading a big fat newspaper, etc. I also hung up all my clothes, which was a slightly monumental effort. Finally, it found me, at the end of the day, with wireless that had gone ffft, hence today's late posting of yesterday's efforts. I hope the wireless has healed itself by the time I return home today. Because the climate-change crisis is at its very bottom a crisis of lifestyle — of character, even. The Big Problem is nothing more or less than the sum total of countless little everyday choices, most of them made by us (consumer spending represents 70 percent of our economy), and most of the rest of them made in the name of our needs and desires and preferences. With just two of us at home, our refrigerator is working more efficiently because it doesn't get opened and closed so frequently. We use the dryer hardly at all. The downstairs is mostly closed off so we're not heating as much space. At night, we have only a few lights on, most of them using compact fluorescent bulbs. We should probably do an energy assessment of our appliances, so that when it's time to replace them we get better ones. We have a swamp cooler which probably needs replacing--I'm pretty sure there are more energy efficient ones, so we'll look into that. An energy audit, with higher consciousness about current and future decisions, might seem a little more like thinking than acting, but it's important in determining future actions. Possibly, just possibly running out of steam--today, because I didn't check to see how many cups Einstein's gave me when I picked up the buckets-o'-coffee for the Writing and Social Justice Conference, and because they gave me what seemed like an inadequate number of cups, I had to run over to a convenience store and get extra styrofoam cups. In my car. And I went to Target. And I forgot to use my reusable shopping bag. I'm blaming it on the hot dusty wind which, as I'm sure you know, makes people lose their rational minds and want to kill each other. I don't want to kill anyone, but I sure did do some earth-unfriendly things today. And it's not even 6 p.m. yet! However, I did consciously do an earth-friendly thing, and that was to unplug my cell-phone charger when I wasn't actually using it to charge my cell-phone. Sometimes I do this and sometimes I do not. But I want to make this more of a thing I do all the time. Earth Day Challenge: Day 3. The dishes. As a child, the dishes were the bane of my existence because of stuff that detached itself from the dishes and floated in the water. And then touched my hand. It was the stuff of nightmares, especially when there were scrambled eggs involved. Gak. This meant I had demands, such as rubber gloves for when I had to immerse my hands into the floatie-filled water. Of course, the first tine of a fork grabbed the wrong way and the gloves would leak--that was its own fresh hell. With the advent of the dishwasher (cue heavenly choirs), one could avoid almost all direct contact with the food on the plate, with the help of running water, gallons of it. Gallons of running water and a scrubbie thing. Then you could load your practically-clean dishes into the dishwasher for their prophylactic hour in hot water. Okay, I know the gallons of running water are wrong. I know this. So today, when doing the dishes, I filled two pans with water, squeezed a little soap in, soaked the flatware in that, and then scrubbed them out. I used a little running water, but hardly any. Comparatively speaking, I was collecting rainwater in buckets. That's, of course, compared to the way I used to do the dishes. Earth Day Challenge: Day 2. I have tried to make adaptations in my life of late that are more earth-responsible--eating locally grown and produced foods, taking my lunch, hanging most laundry to dry, rather than using the dryer, saving up dishes for a full-load of dishwashing, saving up laundry for fuller loads, etc. My main earth-unfriendliness, I think, is driving, which I haven't figured out a way around. During my sabbatical, I intend to do more walking--the library is not too far from my house, nor is a grocery store, the bank, and the post office. In fact, I could do a lot of walking if I plan for it. Associated with driving, though not directly caused by it or stemming from it, is the huge amount of consumer activity I do. So one thing I know I could do to improve my relationship with the earth is to shop less--to buy less stuff, which consumes less of the world's resources to begin with, let alone contributing less to general wastefulness. My not stopping to shop today is a conscious nod to that, even though there is a lawn chair on sale at Target that is calling my very own name. Also, I did not drop-kick my laptop today, when it was clearly provoking me by being laggardly and slow. Because computer waste is toxic, very unfriendly to the earth. It's come to this: my poem tonight got started by my stealing lines from Frasier. Frasier! There's stuff I need and want to write about, but can't do it when I'm writing at this pace. Instead, this frivolity. Sigh. But still. Earth Day Challenge: Day 1. No more. That's if I can remember to take them into the store. But having them in the car is half the battle, no? As a side note, after writing a poem in which I imagined making tea this summer, then drinking the tea on the steps in my backyard, while still in my nightie, I decided I needed a new nightie. So I looked today--looked and looked, but the nightie of my vision was not to be found. That meant I had no chance to whip out my fold-up-able reusable shopping bag and carry the nightie home, Earth Day style. Another day. "All right, I'm ready for the old, non-poetry HTM posts. Sorry to be a poetry pooper." 1. school to be over for the semester. 2. my house to be clean. 3. myself to be younger. 4. my consumerist desires to be in check. 5. my entire gestalt to be in balance. 6. the war to be over. 7. a rational food policy in the world so no one would be hungry. 8. for human beings to stop hating and fearing women. 9. a peach tree in my back yard, in place of one of the sorry, unproductive apple trees. But until April is over, my friend, there will be poems on the megastore. Oh yes! 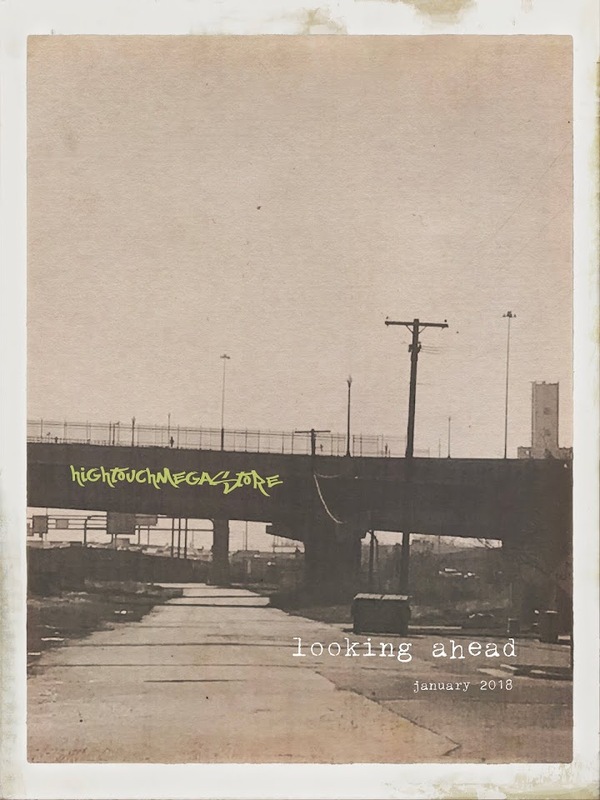 There will be poems. So, guess what? when you write a poem a day, you can't necessarily wait around to be, y'know, inspired. Or even "inspired," like, fake-inspired. You have to manufacture the poems, by whatever means necessary. So today, I ran across a note in my notebook which contained the word "syzygies." It was from some notes I took at a meeting of the editorial committee of this press that I'm a part of--I saw it in the manuscript of some religious book. I wrote down the word because, seriously, what a weird word, and there had to be some way to do something with it. So I did what there was to be done, what any poet worth her salt would do: found a definition, looked up the etymology [Origin: 1650–60; <>syzygia <>syzygía union, pair, equiv. to sýzyg(os) yoked together (sy- sy- + zyg-, base of zeugnýnai to yoke1 + -os adj. suffix) + -ia -y3 ], then went about assembling synonyms, blah blah blah. From this alchemy is supposed to arise a poem. So I did the other thing, which is to find ten words. I picked up a copy of Tainted Blood, which is another version of Silence of the Grave, both extremely morbid titles, come to think of it, one of those Icelandic books I've become so very fond of. I took ten words at sort of random and out of that, made something very like a poem. It's starting to feel a little grueling, I confess. But I feel determined, why I'm not sure. Grim, teeth gritted, by God I will have my 30 poems. On the one hand, writing a poem a day for a month means writing many slightly dubious items at almost midnight, and fearing each and every day that you have exhausted not only your subject matter but also your poetic means. On the other hand, when it's writing group day, you have a poem ready to go. My putative cold is holding: not moving forward, but still making me feel just a little . . . bleah. My daughter moved into her new house today. The historian and I, along with running son, I mean singing son, and others, helped. It was a gorgeous day. The Jazz beat the Nuggets. We bought vegetables and eggs from Chad. I wrote a poem, and now I'm going to read a book until I fall asleep. Today I got an emergency phone call from my youngest sister and also from my dad, which made me feel a tad alarmed. As it turned out, I was called to the urgent side of my family to see my two nieces, M & M, in a gymnastics meet. Thank the Lord I was able to take the call. It was a lot of fun--I didn't get to see my sister when she was just this age, because I was already married and living in the land of Utah, whereas she was floor-routining (beaming, vaulting, barring?) it up in California, then Massachusetts, then California again. I did get to see her as a college gymnast which made me feel so dang proud. And my dad informed me today that she was a champion in high school on the beam. So it was a very big deal, and now these girls are awesome, just like their mom. It was hilarious and completely enjoyable, to see these bouncy, flex-y girls--my nieces, but all the other girls as well--with energy and springiness to spare, all over the gym, doing their very serious routines, each routine completed with an excellent hand flourish. My nieces always oblige me whenever I see them by doing the very beginning of the floor routine, which involves highly flourish-y hand gestures and a wonderful twisty dance move (wish I had a better noun for it, but I just don't). Anyway: one of the Ms happened to be sick today. As in, "had to have a shot of penicillin" sick. But she really, really wanted to compete, and so she did, and she did great. Just like I feel like I'm coming down with a little spring cold, but I really really wanted to write a poem, so I did. What is art? Talk amongst yourselves. My oldest friend MS sent me this link and I feel it would edify anyone who cared to view it. Please. Get edified, all right? You need it. You really do. A cd entitled "The Songs of Celine Dion, Instrumental Version." Labels: compact discs, markets, megastores, swelling strings, who buys this stuff? 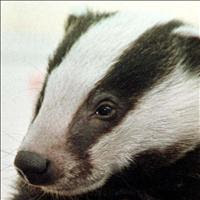 Minister plans pilot badger cull. I've set up my iGoogle page with BBC headlines (also: the New York Times, NPR, and The Onion), and sometimes, when a headline like the above comes up, I find it completely worthwhile. The music this year has been awesome so far. Tonight we went to a concert in jazz series we subscribe to--Stefon Harris and his ensemble, Blackout. It was pretty great--a combo of free jazz fluidity with some serious groove. Harris is a marimba/vibraphone player, which might give one pause. However, it was all great--there were synth-y sounds galore, another potential deal-breaker, but it just made everything sound groovy. We recently saw Jon Faddis, a trumpeter, and before him, Brad Mehldau, which was utterly sublime. Upcoming are Dianne Reeves and then Regina Carter. In between we will see Ben Folds. And in March, there was Rufus. Musical blessings. What book should I read next? 1. write a draft of the mission statement for the English Dept. Steering Committee, formerly the Five-Year Plan Committee. 2. write a draft of a new and improved mission for the College Curriculum Committee for discussion next week. 3. Finish the 2010 Assessment report. 4. Finish comments for a host of students who finished their preliminary portfolios late late late! ceremonially do the motherly cleaning of their rooms. take down the horrible panelling in the basement and paint the walls. sleep without worrying when they will come home. place paving stones in the front yard ("meadow") and plant sweet woodruff everywhere. clean up the nonsense that is everywhere in my study. possibly build bookshelves, more bookshelves, upstairs and down. possibly rein in my book-buying habit. start using the public library. go to the University library for high minded reading. make small movies/video essays (of course!). write letters and e-mails to absent younger generation. And of course I will miss them. I already do. Poem-a-day-for-a-month 2.0 update. Five for five. I’ve just bought. I am already sweating a little. to plants, to the cars and their surge on the highway. I am cutting flowers and leaving still more on the stem. over the bed. I’m sleeping with just a sheet. to take all afternoons off (also Fridays, and some Mondays). Sliding in under the deadline. We had dinner at college daughter's dad's and there was hilarity and mayhem. A baby squealing. Low level arguing and kibbitzing. I helped college daughter buy a laptop at the college bookstore. I was at work at about 8:30 a.m. this morning, not that my day was particularly productive for that fact. Saw Dr. Write practice her DFL (excellent!). Student conference, in which he and I made a plan so that he could, possibly, if he gets it together, finish the course. We'll see. Re-viewing of Step Up 2: The Streets (the dancing is just as good the second time as the third). For the dinner at the kids' dad's, I made stuff to eat. Forgot an appointment to confer with a student online. Made abject apology. The emotional content of these days is sending me around the bend. But so far, poem-a-day-for-a-month 2.0 is going fine. 3 for 3. 1. On Top Chef, it's clear that the technical geniuses had either French or Asian training. The American-trained chefs have crap technique. 2. Technique isn't everything, no matter what Daniel Boulud says. 3. Multi-syllabic words, uttered when you're half-asleep, are pretty funny. 4. Bruiser's character has deepened with loss. 6. Starting your poem for the day at 10 p.m. means your poem might be terrible, but there's still something kind of fun about the challenge. Even though I had plenty of stuff to do that I didn't get done today, it still felt like a good day--the kind of day when you feel light because you can see that the big mountain of things there are to get done, you'll get done one way or another. I might even get my office cleaned out, for instance, at or around the end of the semester. I will certainly make some progress tomorrow on catching up in my online course. The weather's cold but warming. Even my friends' accomplishments are cheering me up--middlebrow's upcoming dissertation defense, I realized today, makes me feel happy to contemplate, and dr. write's upcoming distinguished lecture. Good news all around. Ice cream for everyone. Finally: in light of all the above, it felt just wonderful to write a poem, the inaugural poem from the Poem-a-Day-for-a-Month Project, 2.0, in celebration of the cruellest month--National Poetry Month. You can read it here.